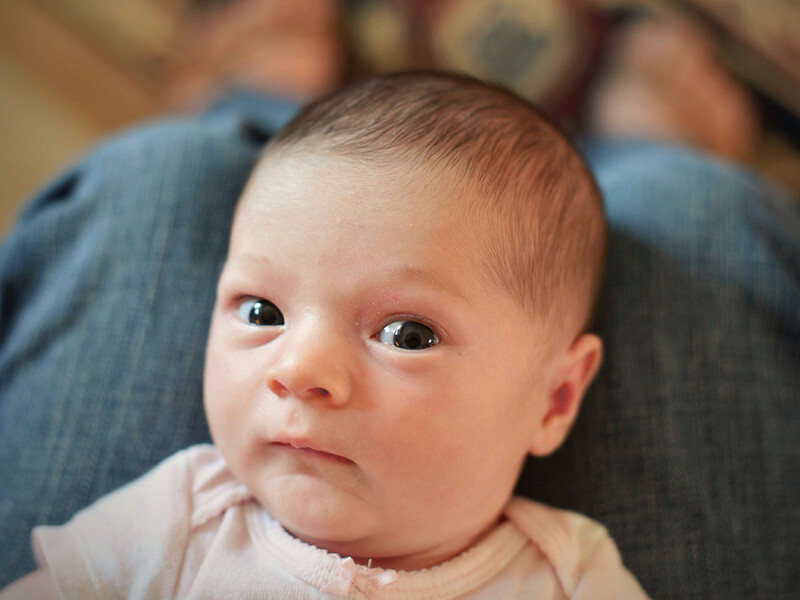 This skeptical 1 month old is Sansa, and we got to spend a bit of time with her today. She was super-cute and did fun 1 month old things like eat, sleep, and poop. She even threw up! great eye contact. Beautiful baby girl.